Building upon Brian Jackson and Dennis Marsden’s classic text Education and the Working Class, a complex study of the working-class experience of social mobility, this book weaves together a number of interconnected strands of thought on education and social justice. 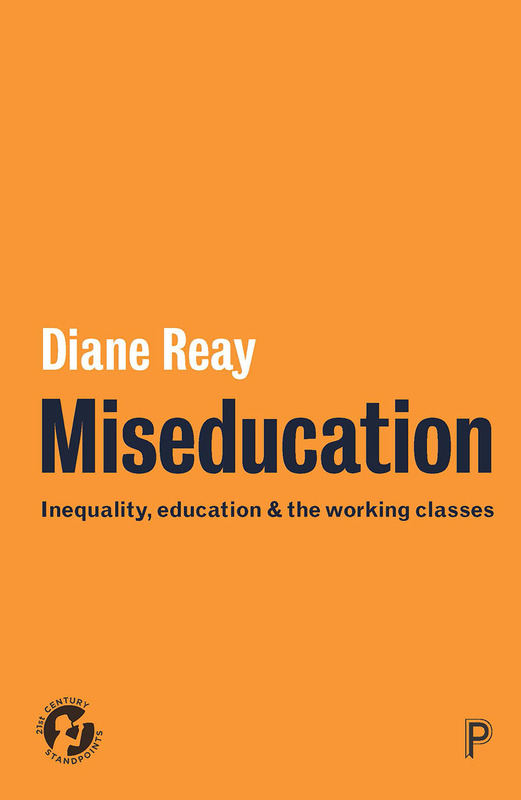 Diane Reay’s analysis spans both the details of individual lives and broader questions of how and why the working classes fare so much worse in education than the middle and upper classes. Through more than five hundred vivid accounts of the emotional life of class—including interviews with Steve McQueen, Mickey Flanagan, Alan Bennett, and Melvyn Bragg—as well as Reay’s own reflections on life as a coal miner’s daughter turned Cambridge professor and authority on the intersection of education and social mobility, this book examines both the costs and benefits of education success by directly comparing working and middle class experiences. Highlighting the truly multifaceted nature of today’s working classes, and including the voices of those who have achieved class mobility as well as those left behind, Reay shines a revealing light on social mobility. One Why can’t education compensate for society?